The Heart Hospital in Westmoreland Street in 1917. The Estate minute books records many applications for private houses to be turned into nursing homes for wounded soldiers and officers. Among these is 48 Bryanston Square, leased by Lady Carnarvon, who applied for permission to use this property as a Home for Wounded Officers in November 1915. It had 40 beds and was quite an up-market establishment where house servants waited on the patients. Further up the Square, the Royal Flying Corps were using numbers 34 and 37 as a hospital, financed in part by Lady Tredegar who held the lease for no 37. Doctors too were opening their homes to take in the wounded. Herbert H Herring was a surgeon and he and his wife opened a hospital in their home at 38-40 Weymouth Street in 1915 calling it a Rest Home for Soldiers. It started with 10 beds but rose to 55, all adaptations being made at Dr Herring’s own expense. The hospital provided around 7,400 soldiers with free accommodation. There were several hospitals in Marylebone, most near to Harley Street which was already a recognised centre for medical excellence and innovation. 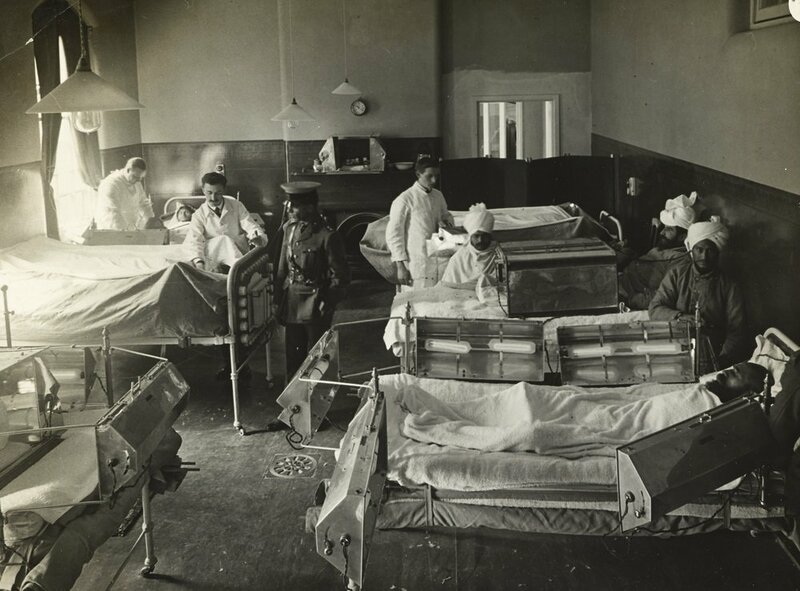 However, as the number of wounded soldiers being shipped home grew, there was a great need for new hospitals. Big and small hospitals sprang up across Marylebone, some in vacant premises requisitioned by the War Office, others in private homes or hotels which were adapted as nursing homes or treatment centres. The Great Central Hotel on Marylebone Road was requisitioned in 1916 and became the Great Central Hospital (also called the Prince of Wales Hospital). Its orderlies were housed nearby in the requisitioned Portman Rooms in Baker Street Bazaar. By 1917, it had 750 beds and by the end of the war it had 758 patients. It closed in 1919. The Heart Hospital was already well established when it moved to new premises on Westmoreland Street shortly before war broke out. It became one of the main centres for examining recruits referred by the army medical boards – an estimated 10,000 were examined. 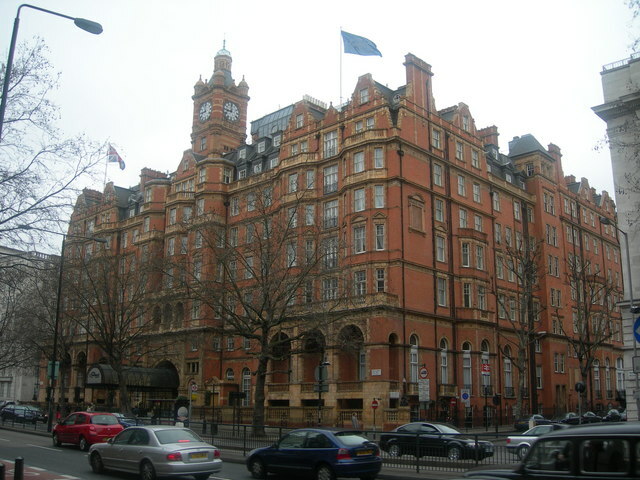 The Prince of Wales Hospital on Marylebone Road is now the Landmark Hotel. Dr Herring’s Rest Home for Soldiers in Weymouth Street today. During the war, new treatments were pioneered in response to the huge numbers of injured soldiers returning to the mainland. Several of these treatments were employed in Marylebone. In March 1915 Mr Dowsing was granted a lease of 1-2 Crawford Street to allow him to offer electric treatment to wounded soldiers and officers. The precise nature of the radio electrical treatment is uncertain. Mr Dowsing seems to have developed the treatment with the Indian army and was hoping to use it in London. 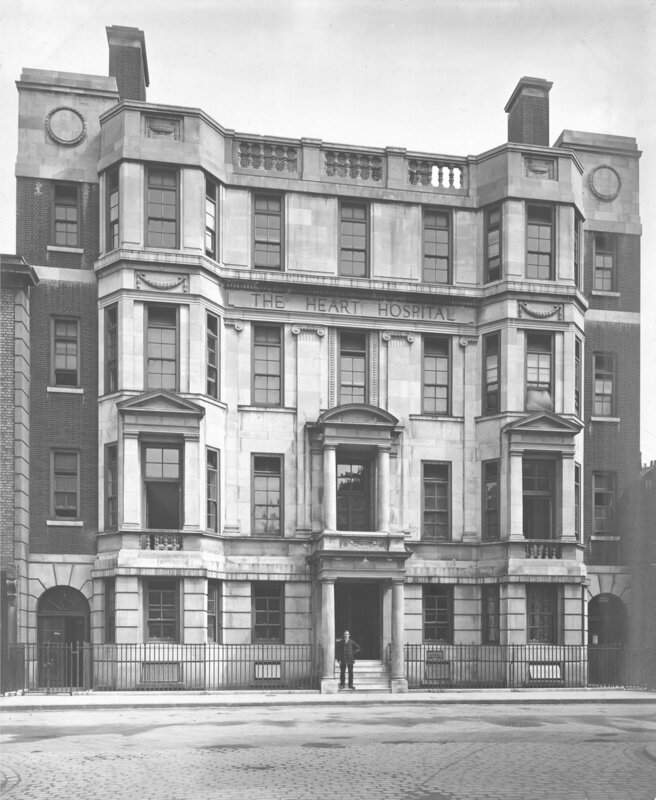 A private clinic offering physiotherapy was established at 126 Great Portland Street before the outbreak of war, but in July 1916 it reopened as the Physical Clinic for Wounded and Disabled Soldiers and was visited by Queen Alexandra. The wounds of the soldiers and consequent disabilities prompted the development of new instruments and treatments never used before. The clinic closed in 1919. Queen Alexandra’s visit and enthusiastic account of the clinic’s facilities.